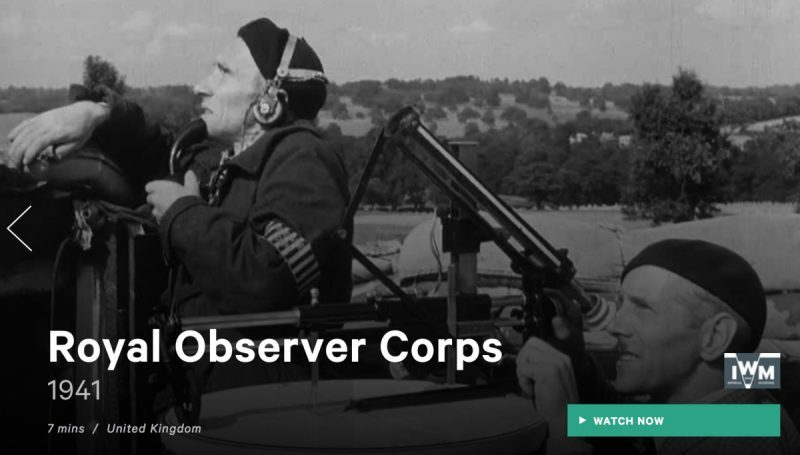 On the 24th August 1939, just a scant few weeks before the declaration of war on Nazi Germany by Great Britain in September 1939, the Observer Corps were formally stood to. 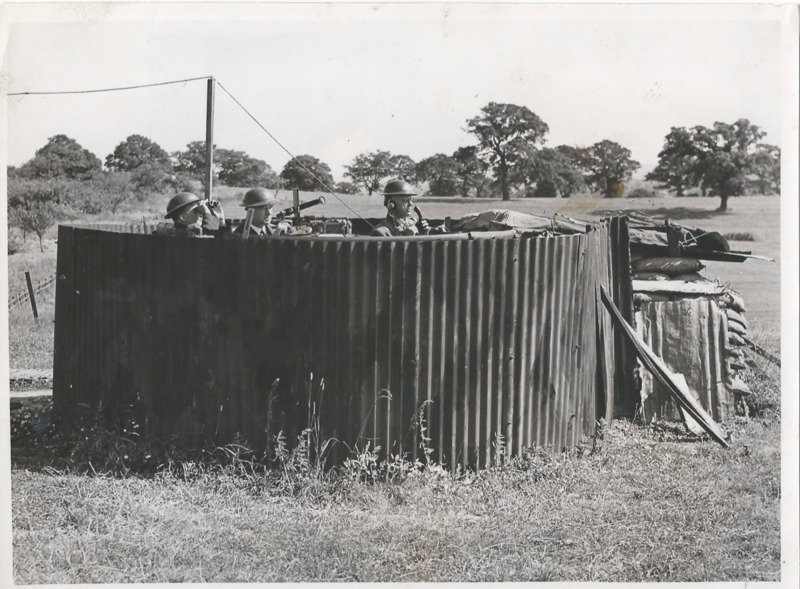 From this date until stand down in May 1945 no Observer Post or Centre was unmanned, and the Observer Corps went from strength to strength, taking on additional duties that proved to play a pivotal role in the Air Defence of Great Britain. They relinquish their Special Constable status. They were given an opportunity of applying for employment on a full-time (A-men) or part-time basis of a 48hour week, or of accepting part-time (B-men) employment. 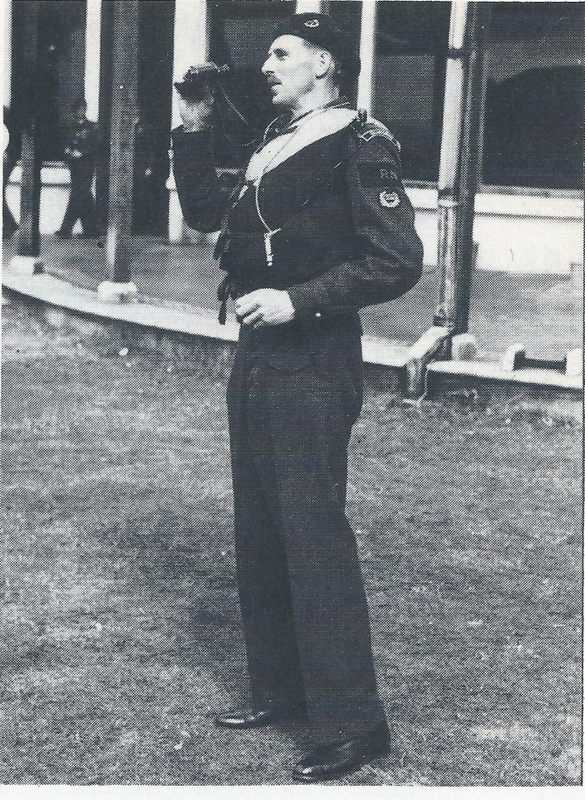 Initially the Observers had no uniform, and just wore the OC armbands issued pre-war and a steel helmet and respirator, but this soon started to change with the provision of RAF issue ‘Zeekee’ Coats during the autumn of 1939, and a blue boilersuit which was issued shortly after the fall of France in 1940. This coincided with posts being issued Ross rifles and the thinking was, now that posts were armed, that it was important not to look like civilians. The boiler suits did not prove popular as they were uncomfortable and it was felt they didnt look ‘smart’ – however they were the first official uniform of the Corps. At the start of the war, aircraft recognition was not one of the functions of the Corps. They were simply expected to report any and all aircraft seen or heard and only to distinguish between fighters and bombers. It was soon realised, however, that the Corps could do more so they were tasked with formally identifying type of aircraft and whether it was friend or foe. It was late 1939 that aircraft recognition literature and silhouettes were issued officially (prior it was just the Observer Corps Club Journal – a semi-official publication) to aid in recognition of enemy aircraft. It was at this time that posts were re-organised into clusters of 3 (as per 1920’s) in order to make sound and visual plots more accurate as each post could act as a ‘check’ on another post by seeing and hearing the same aircraft (albeit it from different bearings). These clusters were all linked by telephone to one designated plotter at Observer Centre to further provide accuracy checks. The first few months of the War were relatively quiet for the Corps, with little enemy activity overhead and the focus being mainly on training and post establishment and recruitment. However with British Expeditionary Troops being cut off at Dunkirk in Northern France in May 1940 and the RAF fighting an increasing number of Luftwaffe planes it was soon realised that as the War in Europe progressed areas of the UK were previously ‘safe’ were suddenly vulnerable to attack from the air. As a result new groups and posts were established on the west coast from Cornwall all the way up to the west coast of Scotland. This threat was soon to become a reality as not only the Corps but every aspect of the Air Defence of Great Britain was to be tested to the extreme during the Battle of Britain. During one point late in August 1940 the Luftwaffe fielded over 8000 aircraft in 14 days of raids, most of which passed over the south-east of England. Although radar was being deployed on the south coast of Britain during the War, it had serious limitations and once enemy planes had crossed the coastline they were only able to be tracked visually by Observers as inland radar was non-existent. 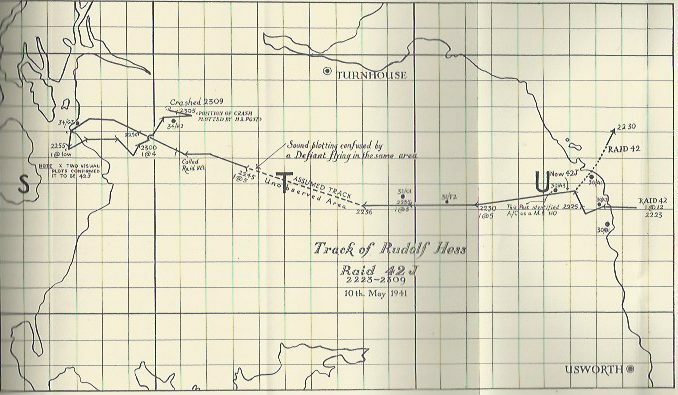 This was a role in which the Corps took to extremely well – effectively becoming the ‘eyes and ears of the RAF’ by providing accurate plots and other information (location of crashes, baled out pilots etc) which saved countless lives and enabled the RAF to intercept German planes effectively. All of this careful coordination and combination of capabilities all contributed to the denying the Luftwaffe air superiority which ultimately preventing Hitler instigating his plan to invade the British Isles. 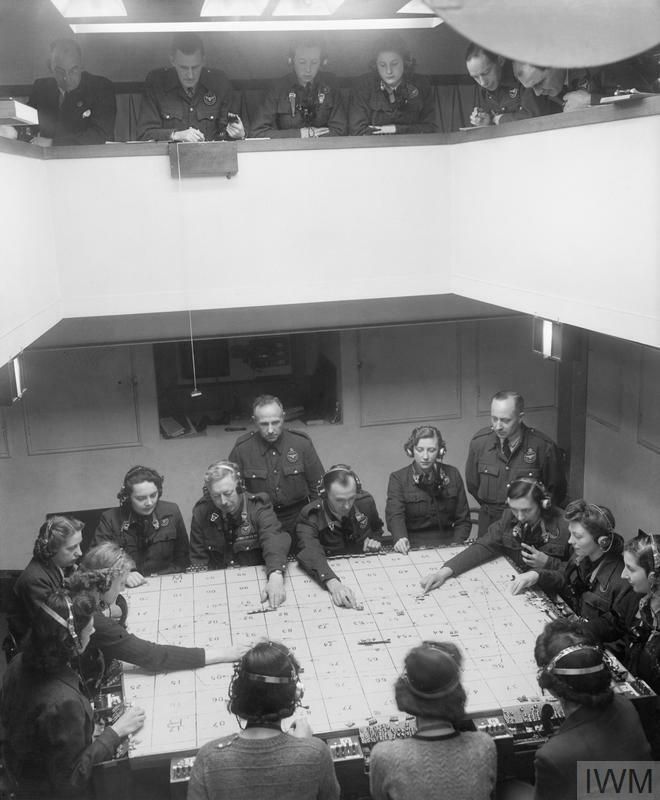 The Corps had survived and excelled at their greatest challenge yet and in recognition of their vital work, the King bestowed the title ‘Royal’ on the Corps and from April 1941 the Observer Corps became the Royal Observer Corps. One of the most remarkable storied of the War involves the involvement of the Corps in the capture of Rudolf Hess, who was a prominent Nazi and Hitlers Deputy during the 1930’s and 40’s. On the eve of War with the Soviet Union in 1941 he took a Messerschmitt ME110 and flew solo to Scotland. It is believed he was attempting to negotiate peace with the UK but was instead arrested and held captive in prison for the rest of the war. He was later tried at Nuremburg and incarcerated in Spandau prison, Berlin where he died in 1987. His timely capture was almost totally down the the Observer Posts in Scotland who successfully identified that the plane was an ME110, and tracked it using sound and visual plots and quickly raise the alarm. Upon it running out of fuel, Hess baled out and safely came to ground while the plane crashed. Observers were quickly able to pinpoint the crash site near Glasgow and Hess was promptly arrested by the local Home Guard unit. 6th June 1944 and the largest amphibious assault in history was about to take place – codename ‘Operation Overlord’ or D-Day – the invasion of German-Occupied France by Allied forces and the Observer Corps were to play a vital part. Friendly fire is not a new concept during times of warfare and is often down to one vital error – inaccurate identification of friend or foe. To help combat this, the Observer Corps were specifically tasked to help reduce the number of Allied aircraft losses due to friendly fire from allied shipping by providing a aircraft recognition skills to the Naval ships of the Allied forces. A call for volunteers was put out and some 1400 Corps personnel came forward, of which 800 of the best were selected for this unique role and were enrolled into the Royal Navy with the rank of Petty Officer to overcome the legal problems of civilians on military shipping. They wore the standard ROC uniform of the time (complete with black army beret), but with the addition of ‘SEABORNE’ shoulder flashes and an ‘RN’ brassard – so a piece of each service, RAF, RN and Army! The ROC didn’t come out unscathed though, 22 Seaborne Observers survived the sinking of their ships, 1 was injured by shrapnel and 2 were Killed in Action after their ships were sunk by mines (Chief Observer John Bancroft of the Motor Vessel Derry Cunily and Observer Bill Salter of the steamship Empire Broadsword). Despite the losses and hardship the Seaborne endeavour was an outstanding success and praise was heaped upon the Corps by various Allied Commanders. Seaborne Observers, in recognition of their service, were allowed to continue wearing their ‘SEABORNE’ flashes when engaged back on ‘normal’ ROC duties. Seaborne Observer – note RN brassard and ‘Seaborne ‘ flash. Also worn is a whistle and life vest. 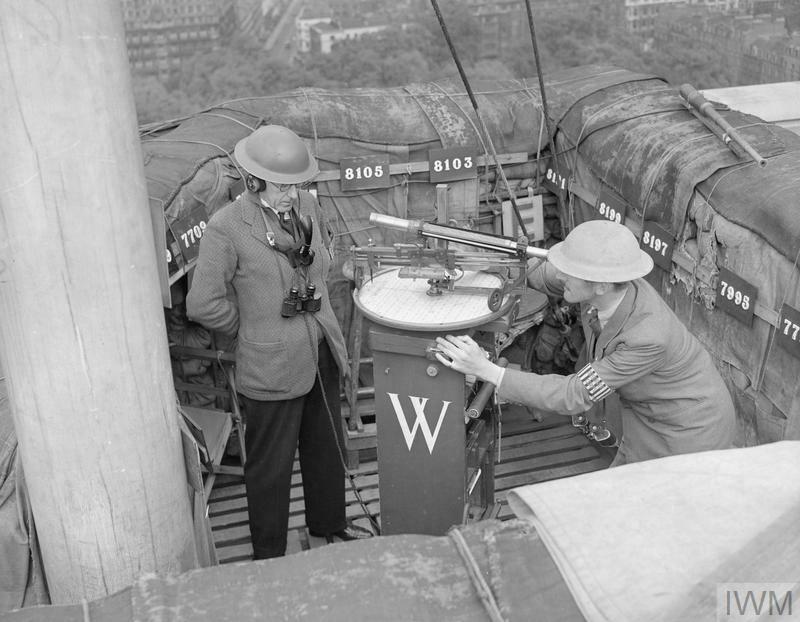 As the Second World War progressed, some Observer Posts were given an extra extended role, or had a satellite post attached them. For example, some 340 posts in hilly and mountainous areas were designated as ‘GRANITE’ posts and equipped with red ‘flares, ground warning, mk1’ that would be lit to alert low-flying aircraft to the hilly or mountainous ground ahead – the idea being that the aircraft would immediately alter course and increase altitude to prevent them flying into the hillsides (to read more about this click here – GRANITE). Other posts were equipped with short range HF radio sets so they could communicate directly with lost RAF aircraft using the DARKY system. This enabled several ground radio stations to triangulate the aircrafts position and guide them to the nearest airfield. Elsewhere, particularly on the south coast at Horsham and Maidstone groups, some posts were issued with ‘Snowflake’ rockets under Operation Totter – these were large illuminating flares that were launched in the direction of incoming German V1 flying bombs in order to vector RAF fighters on to them faster so the doodlebugs could be ‘tipped’ off their flight path so they came down in empty fields rather than town centres. 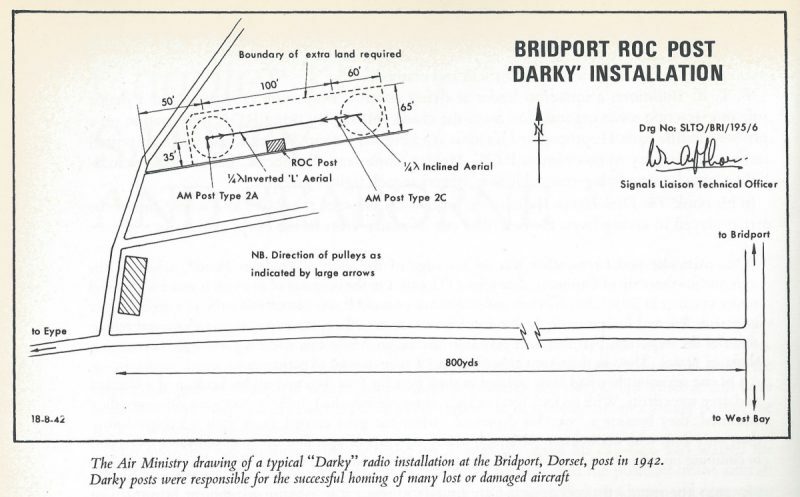 Also at vulnerable locations, along the coastal ROC groups, satellite posts were set up – these were either stand alone small, one man ROC posts, or were manned by Army/RAF/ROC personnel stationed at searchlight batteries, AA gun sites, Aerodromes and Coastguard stations. Their brief was to report any aircraft seen or heard to their ‘parent’ ROC post via land line telephone who would then plot and report this information to ROC Centre. Satellite posts often covered ‘blind spots’ in coverage, for instance covering a cliff area that would hide low flying aircraft from the parent post. 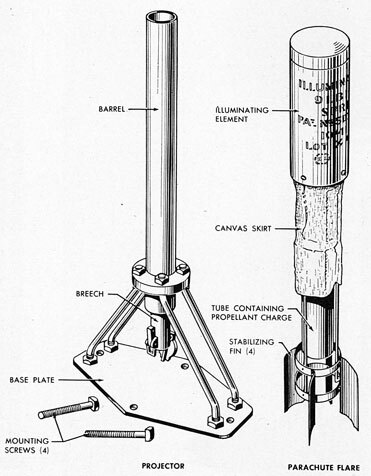 In some places Boy Scouts were successfully employed as Coast Watchers with the Coastguard, and it was suggested that Scouts could perhaps man Observer Corps satellite posts, and perform basic tasks in Observer Centres. 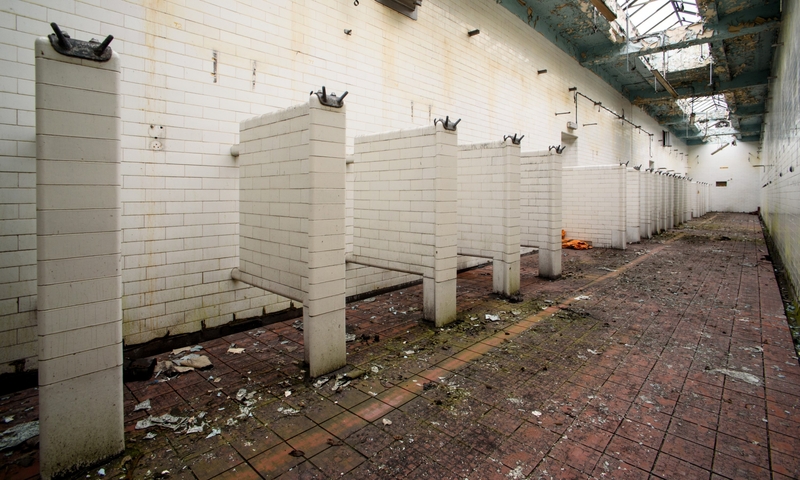 The main obstacle to this from the records appeared to be the difficulty in provision of liability insurance! With the war in Europe coming to a close with the defeat of Nazi Germany, and the Luftwaffe grounded the Corps were stood down on the 12th May 1945. In honour of their contribution to the war effort the Air Ministry held a rally and air display at RAF North Weald in Essex where a new ROC Ensign was formally dedicated and a 2000 strong contingent of the ROC undertook a uniformed march past with the Under-Secretary-for-Air, Lord Beatty taking the salute, and with this the ROC were stood down, having worked tirelessly for the duration of the war with no Post or Observer Centre being unmanned at any point for the last 6 years. However, with the descending of the ‘Iron Curtain’ over Europe and the threat of Atomic war with Soviet Russia, some eighteen months after stand down, the ROC were re-activated once again to help in the defence of Britain.